L.L.Bean x Flowfold Crossbody Tote alongside L.L.Bean Boots. The two Maine outdoor brands have collaborated on a new collection of bags made in the USA. Our product teams have had such fun bringing together our expertise and our shared love of the outdoors, and it shows in the detail, design, and performance of these bags. 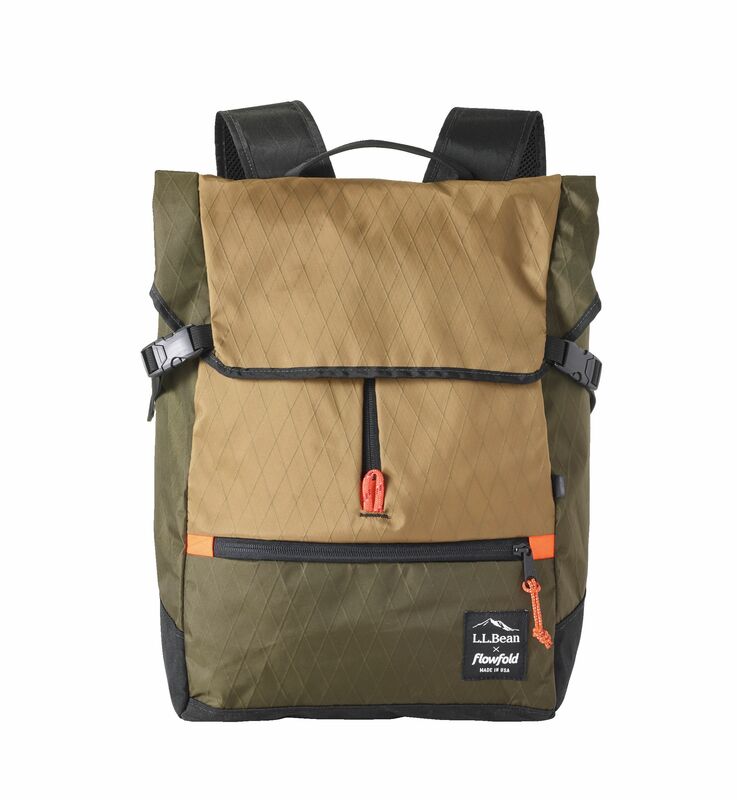 Internationally recognized outdoor retailer L.L.Bean, best known for its Maine-made L.L.Bean Boots and world-class customer service, has partnered with Maine outdoor gear startup Flowfold on a new collection of backpacks, totes, and gear bags. The collaboration pairs L.L.Bean’s experience of over a century of quality outdoor product development and customer satisfaction with Flowfold’s cutting edge fabrics and design. L.L.Bean was a Maine startup itself in 1912 when Leon Leonwood Bean began with a single innovative product, the Maine Hunting Shoe, better known today as the L.L.Bean Boot, and made in Maine. Today L.L.Bean sells thousands of outdoor products through its global e-commerce and retail business, including backpacks known for their durability. Flowfold began in 2010 on Peaks Island, Maine, with college friends making wallets from recycled, high-tech materials. In less than a decade, Flowfold has expanded its USA manufacturing to lightweight, minimalist gear for all kinds of outdoor adventures. 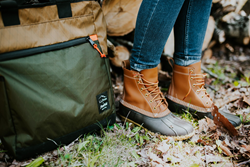 L.L.Bean has carried Flowfold products online and in retail stores since 2016, but this is the first time the two companies have designed and developed products together. 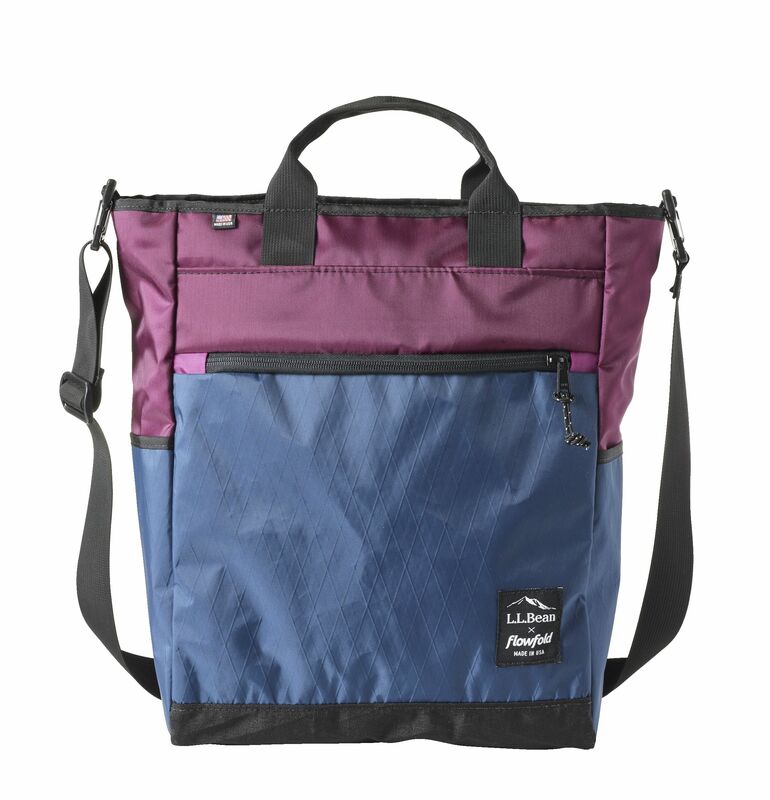 The collaborative collection includes a center-zip backpack, a crossbody tote bag, utility organizer, and wrist pouch, each in three colors, all made from ultralight, water-resistant X-Pac fabric. Prices range from $39 for the wrist pouch to $149 for the backpack. 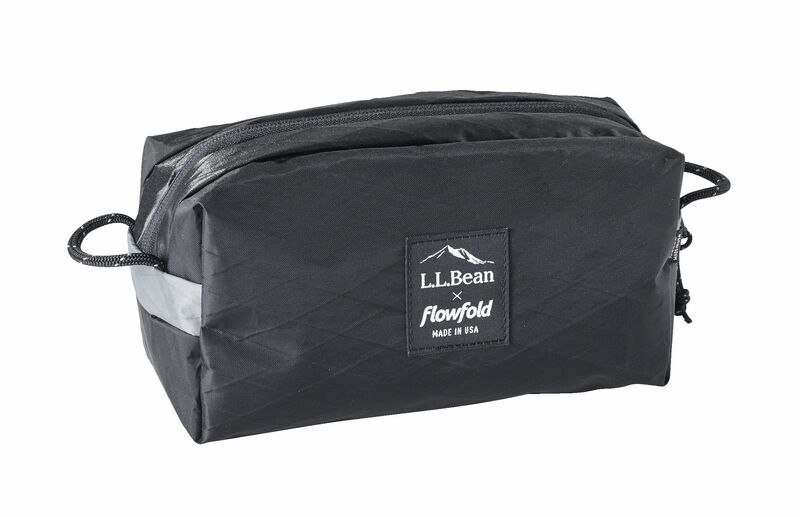 The collection can be found exclusively at L.L.Bean retail stores and online at http://www.llbean.com/flowfold. L.L.Bean, Inc. is a leading multichannel merchant of quality outdoor gear and apparel. Founded in 1912 by Leon Leonwood Bean, the company began as a one-room operation selling a single product, the Maine Hunting Shoe. Still family owned, Shawn Gorman, great grandson of Leon Leonwood Bean, was named Chairman of the Board of Directors in 2013. While its business has grown over the years, L.L.Bean continues to uphold the values of its founder, including his dedication to quality, customer service and a love of the outdoors. In the past five years, L.L.Bean has donated over $6 million toward conservation and land stewardship. L.L.Bean currently operates 39 stores in 17 states across the United States, along with 25 stores in Japan. The 220,000-sq. ft. L.L.Bean retail store campus in Freeport, ME, is open 24 hours a day, 365 days a year and welcomes more than 3 million visitors every year. L.L.Bean can be found worldwide at http://www.llbean.com, Facebook, Twitter, YouTube, and Instagram. Flowfold builds minimalist gear for everyday adventures. No bells, no whistles, just high quality, Made in America products outdoor adventurers can use every single day. Flowfold was founded in 2010 on Peaks Island Maine and built on a legacy of Maine craftsmanship. Flowfold pairs carefully refined techniques with innovative materials and designs with values focused on reducing their overall impact on the environment. Every year Flowfold recycles thousands of yards of non-biodegradable material creating outdoor inspired lifestyle gear that won't let their customers or the planet down. Every item is handmade in the USA using some of the world’s strongest and lightest fabrics and comes with a lifetime warranty. Flowfold can be found at http://www.flowfold.com, Facebook, Instagram, and Twitter.